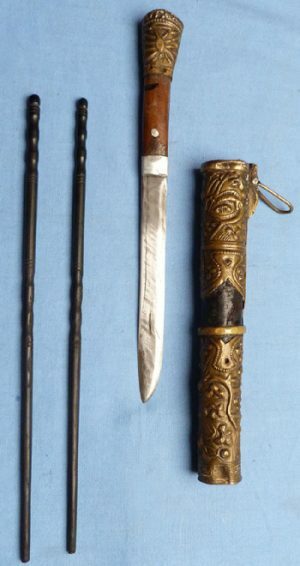 Original antique Tibetan Trousse. With embossed brass metal mounts. Comes complete with knife and two eating chopsticks. 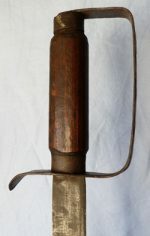 Length of the knife blade is 5.15 inches (8.5 inches overall).